Jackson Center, OH (January 16, 2019) – Airstream, innovative manufacturer of the iconic “silver bullet” travel trailer, today announced the hiring of tenured marketing professional, Carey Walley, as Director of Marketing for the brand. 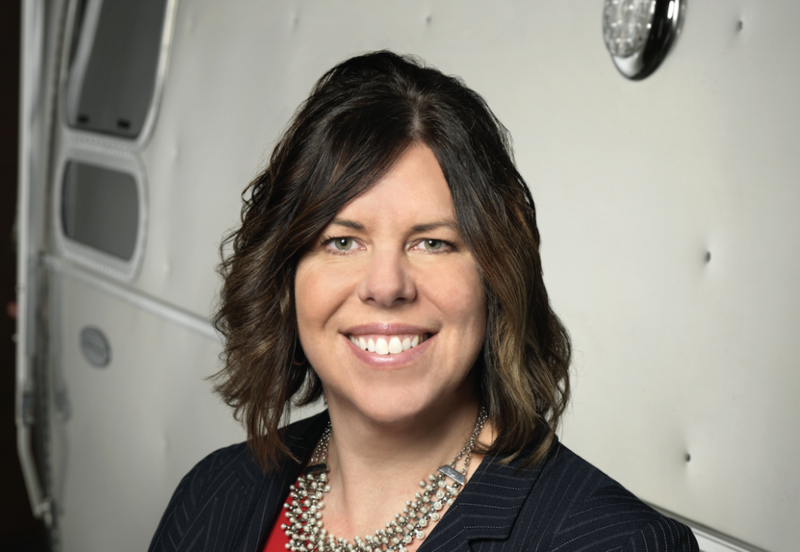 Walley, who will direct creative execution, oversee media placements, social media strategy and dealer marketing for Airstream, will report directly to Chief Marketing Officer (CMO), Mollie Hansen. With more than 20 years of experience in this area, Walley joins Airstream after a role as the Vice President of Marketing for CPG Building Products. As the leading manufacturer and marketer of composite decking, railing and other building materials, Walley was responsible for the growth and development of the industry-leading organization. Walley also oversaw marketing efforts for a number of brands including TimberTech, AZEK, Mead, Five Star and Cambridge. Over the course of eight years, Walley held a position with Mead in account specific marketing, merchandising, as well as brand and product management. She has held executive roles in consumer products, building materials, and now travel trailers. Her career has been primarily focused on selling premium products to quality-conscious consumers through complex distribution channels. Walley received her Master’s degree in Business Administration from The University of Dayton, and is a graduate of the University of Notre Dame, where she earned a Bachelor’s degree in Business Administration. Carey also held an impressive athletic career during her time at the University of Notre Dame, where she played basketball. She still holds the school record for consecutive field goals with 17 during the 1994 season. For more information about Airstream, please visit www.airstream.com.